Of all three telcos in Singapore — namely SingTel, StarHub and M1 — SingTel was the earliest to hop onto the digital media space, notably through their digital media arm inSing.com. inSing has been dabbling in a lot of new initiatives, one of which was a mobile commerce turned e-commerce site Lyke, which launched in December 2013. A year later in December 2014, the site had bitten the dust. And that’s exactly what we want to talk about. 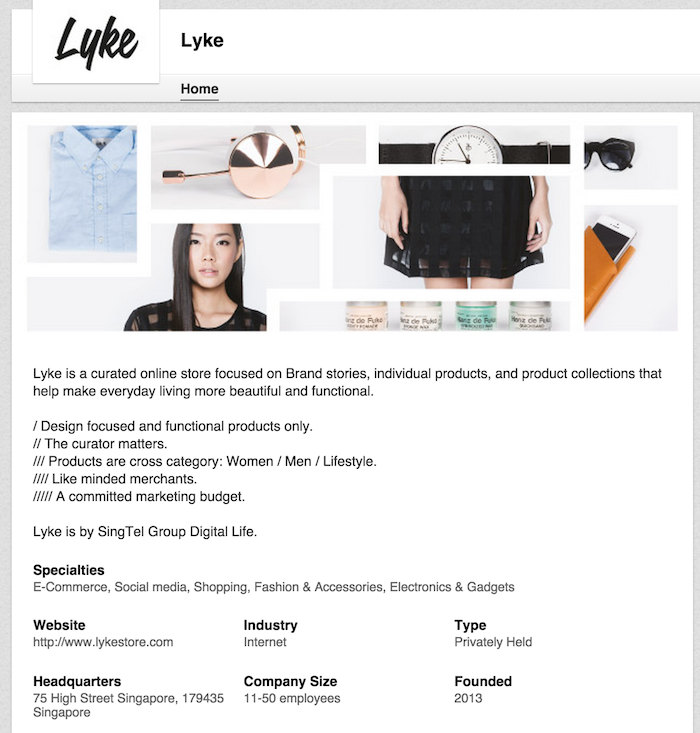 Here’s some background: In December 2013, Lyke was originally launched as a mobile app which featured carefully curated lifestyle products ranging from apparel, bags, and watches, to accessories and gadgets. 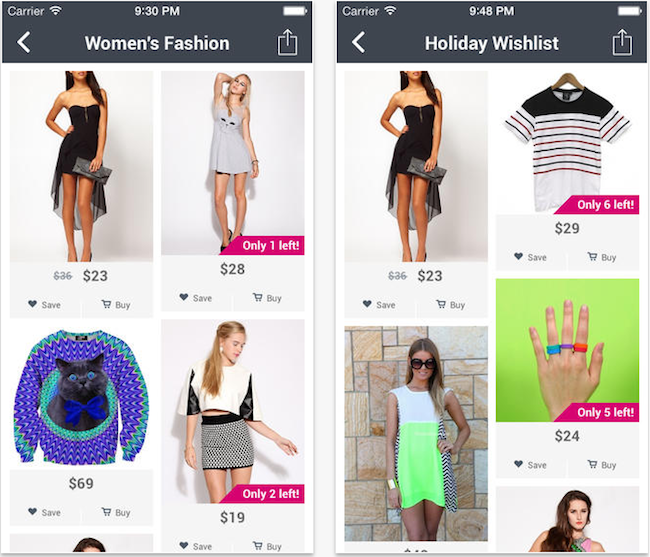 Users were able to browse the items on the app and paid for them in-app via PayPal or credit card. We previously reported that one month in after the official launch, the download numbers for the Lyke application on Android devices was only in the 50 – 100 range, according to Google Play. That looks like a lot of marketing budget for a launch party. In a report by Tech In Asia, Cheng Chuan Loo, head of SingTel’s Group Digital Life, told the tech publication that the company had struck a monetary partnership with Silicon Valley-based Wish to brand Lyke as a white-label version of the mobile commerce platform. No financial details of the deal were revealed, though we expect the telco to have committed a substantial budget to it. Sometime in 2014, the app became unavailable via the app store, possibly having been removed by the inSing team due to low traction. 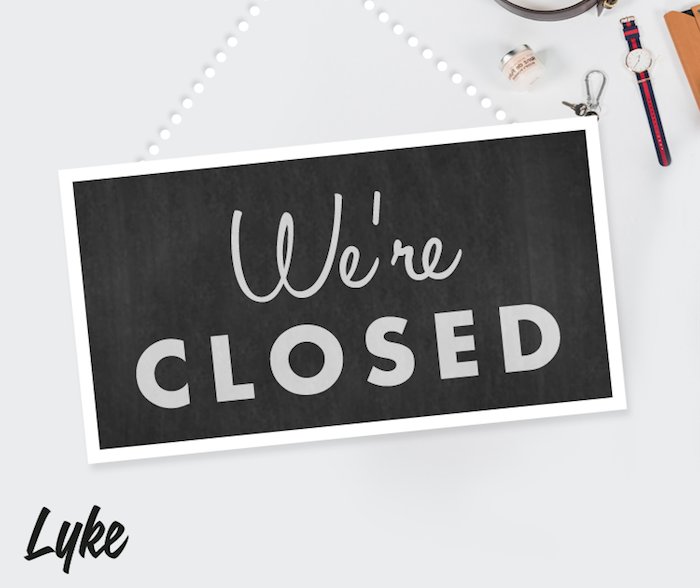 While the app can no longer be downloaded, all the products and merchants on the platform have been shifted onto its online e-commerce store, Lyke Store. While we were unable to get any official comments from the Lyke team, we suspect that the inSing team was trying to give the platform one more push via its various web portals, such as the very popular HungryGoWhere. The website also received a facelift and various product managers were brought onboard to revive the platform. Some of the popular brands brought onboard Lyke Store included, amongst others: Bellroy, Monofold, Qwstion, and Côte&Ciel. Lyke’s description on their LinkedIn profile. Things looked promising: merchants came onboard with high hopes of leveraging on SingTel’s digital media team’s reach to get more sales, and the online shopping and e-commerce scene exploded with activity too. 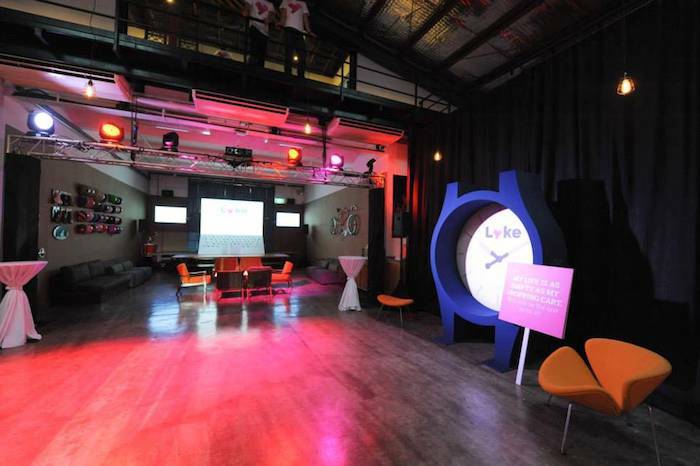 After all, SingTel did have a “committed marketing budget” to drive market awareness for Lyke. However, things didn’t turn out as expected, as the website was soon shut down as well. A quick visit to the site confirmed that they were no longer operational since December 2014. We have tried to reach out to Lyke but we have no official statement from the team. The closure is most likely caused by the high e-commerce inventory from its platform, along with failed marketing. This is especially true with established brands such as Zalora, Rakuten, Taobao, and Omigo (by SingPost), as well as other designer-centric marketplaces such as HipVan and Naiise, already in the market. We did, however get in touch with the folks from Naiise on their thoughts of the e-commerce landscape in Singapore. Dennis Tay, founder of Naiise, concurred that the regional design retail landscape is getting increasingly competitive, with potentially more supply than demand. While mobile commerce is a convenient platform to shop on, the market might need more time to get used to this platform. This likely dampened the growth of Lyke in its early stage. 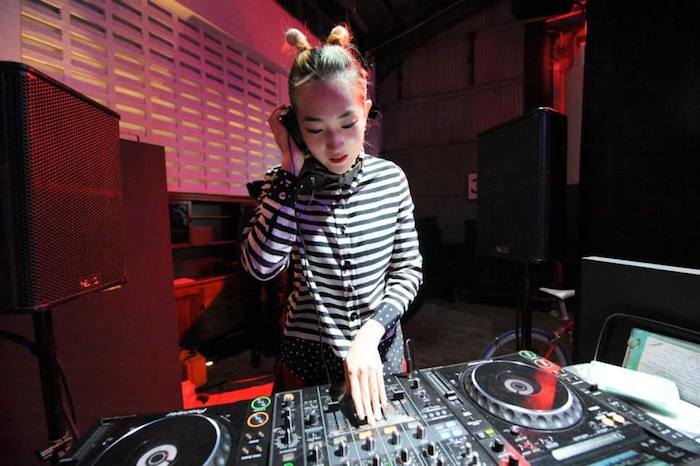 Instead of focusing their efforts entirely online, the opening of fun and interactive pop-up stores have rewarded Naiise nicely in 2014: the team saw a 20x increase in annual revenue, and is currently looking to have a flagship physical space. Possibly having recognized the tough road ahead of Lyke, Yu Hsiang Wong, the Chief Executive Officer of Lyke too left the brand in August 2014 to head Dash, a new mobile money service by SingTel. Yu was responsible for starting up Lyke, securing the funding, and signing up over 50 local and international brands on the platform. After just three months with Dash, he left shortly after to join Hailo Singapore, the latest taxi booking app in Singapore. When I spoke to Andrew Fam for my earlier piece on why the various Taskrabbit clones didn’t work in Singapore, Andrew shared that through TaskAmigo, an online marketplace for small tasks, they had the chance to work with SingTel for marketing. In the article, Andrew revealed that SingTel was looking for quick scale and profits when it was working with TaskAmigo. “SingTel gave up after 6 months. They were looking for quick scale and profits but that doesn’t work for startups,” said Andrew. A similar pattern is noticed in the case of Lyke: despite the huge amount of funding that was invested in Lyke, the timeline seems to suggest that in the first 6 months after launch, SingTel (inSing) was pushing for their Lyke mobile app. 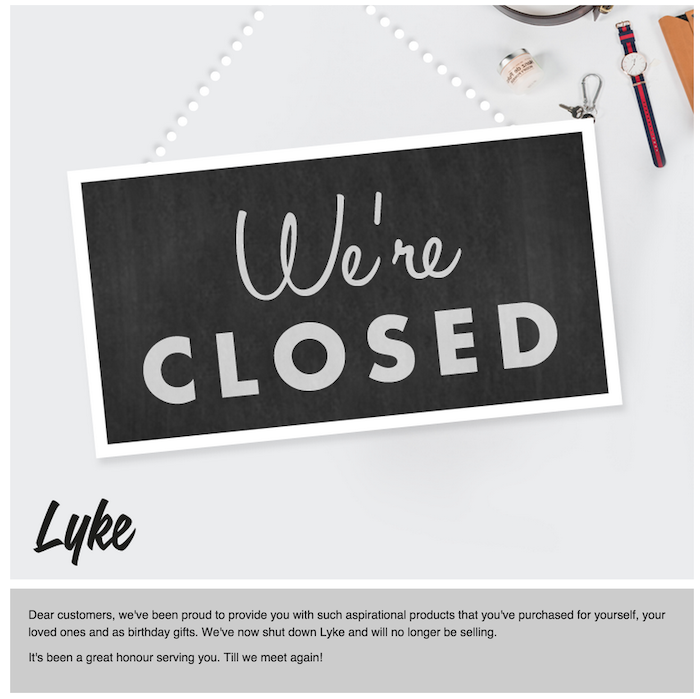 When that did not work out, SingTel spent the next 6 months dedicated to pushing the Lyke Store e-commerce shop. When that didn’t work out as well, the plug was pulled in December 2014. With the closure of Lyke, this seems to be the end of SingTel’s foray into mobile commerce and e-commerce. At least for now.